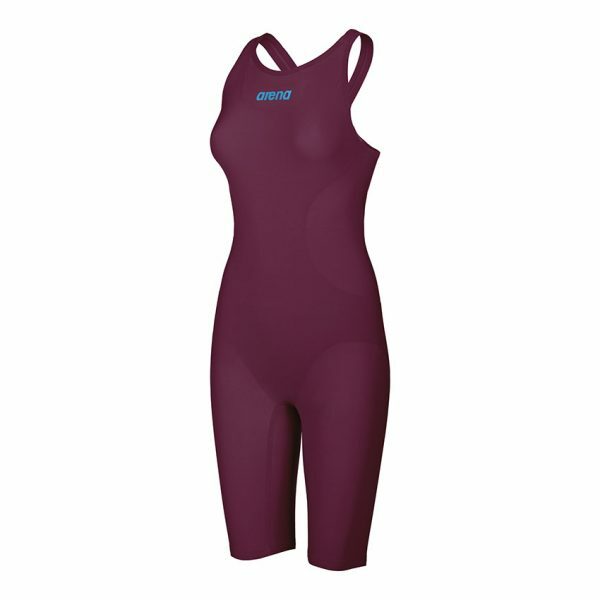 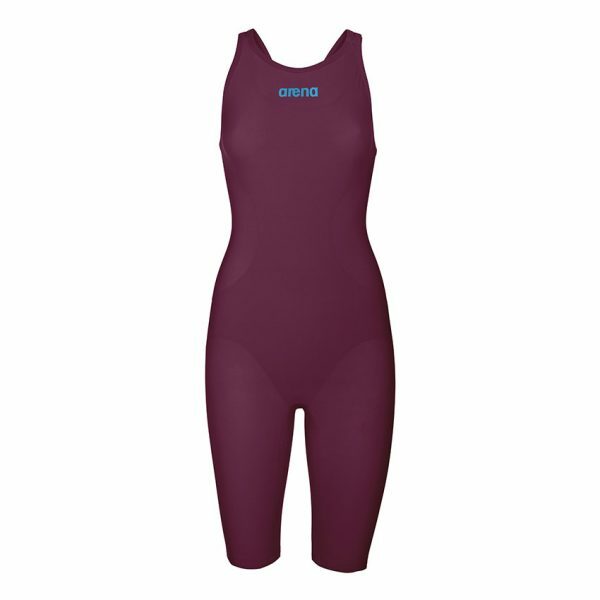 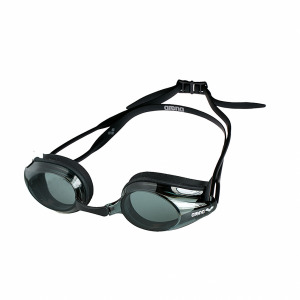 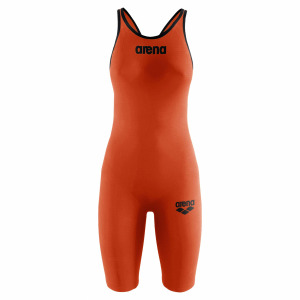 The red wine Arena R-EVO One suit is one of Arena’s newest pieces of racing kit. 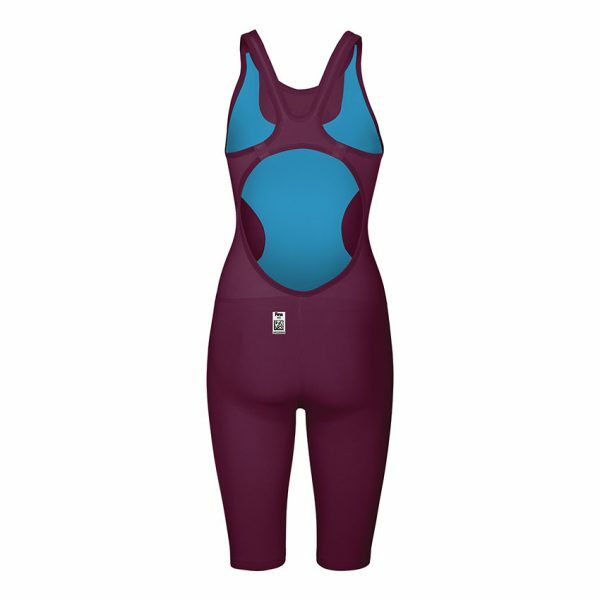 ONE stands for its innovative construction with just one piece of fabric that stretches and compresses evenly for a second-skin feel. 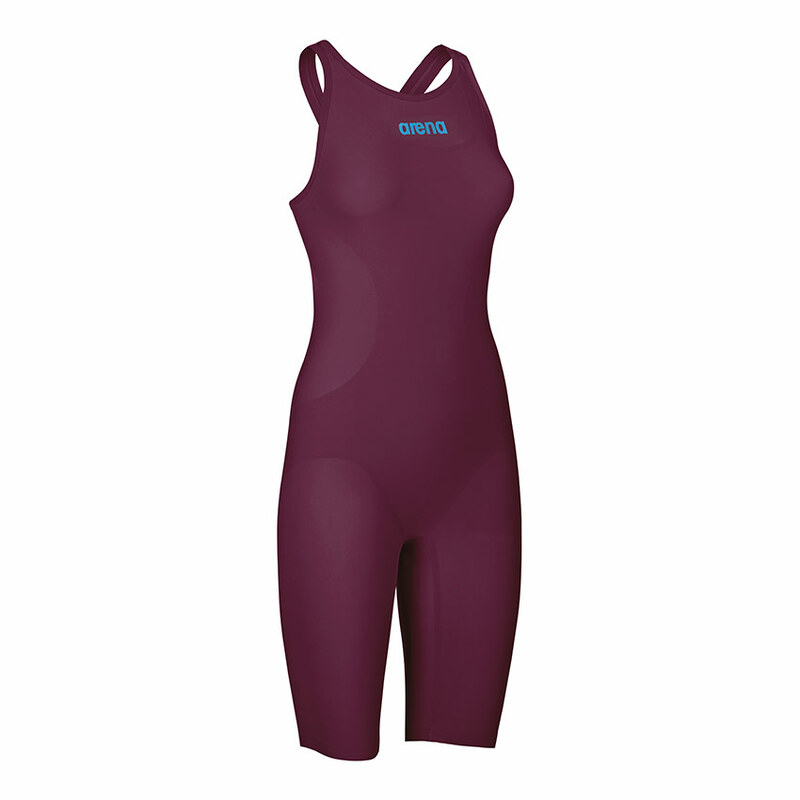 With a single bonded seam at the back this ladies competition suit ensures enhanced freedom of movement and total comfort. The ultra-lightweight fabric absorbs less water and reduces drag, improving your glide and efficiency while racing. The Powerskin R-EVO ONE is available in two other colours, blue or grey (discontinued). 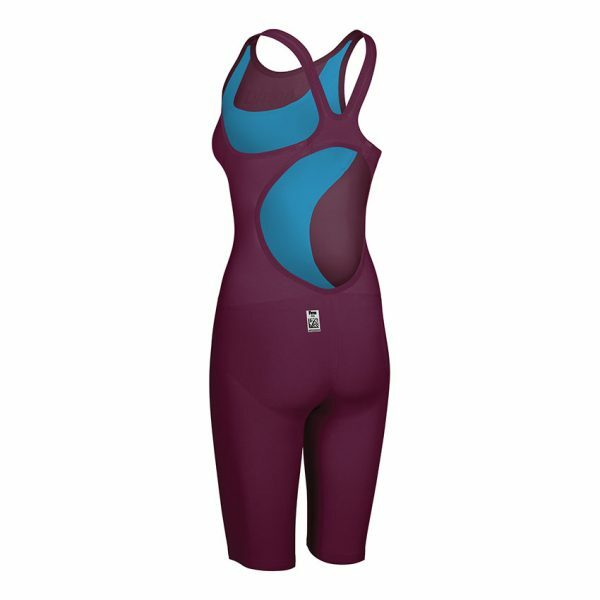 Plus it’s easy to put on and take off and when is that not a bonus!